While Western regimes have announced huge increases in military spending citing threats from groups like ISIS/Da‘ish, closer to home their own Muslim citizens are being brutally targeted with little protection afforded to them. The ISIS/Da‘ish threat is real enough although the proposed remedy — massive military spending — is hardly the answer. If the Western warlords were serious about fighting the terrorist threat, they would go after the mother of all terrorists — Saudi Arabia — and stop their intelligence agencies from nurturing these terrorists who are used as patsies for false-flag operations. In most Western countries, anti-Muslim hatred has escalated alarmingly. Hate groups have mushroomed and spew their anti-Muslim venom openly without much restriction on their activities. Even Canada, that projects itself as a model of multiculturalism, has witnessed an alarming rise in anti-Muslim hatred. 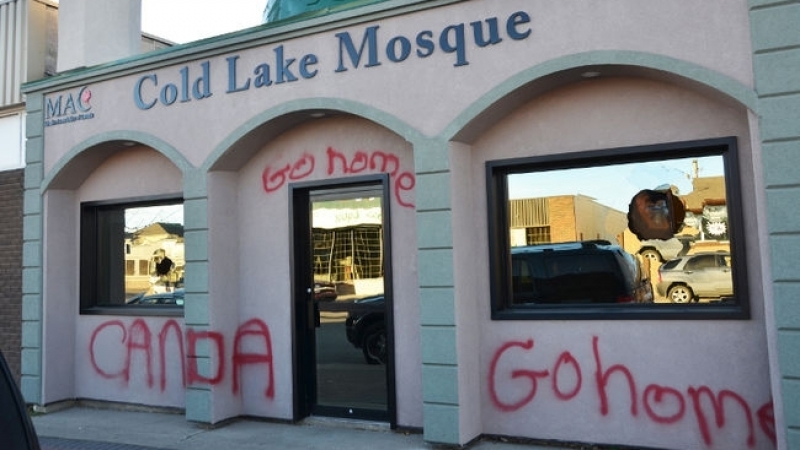 Information obtained from Statistics Canada data released on June 13 shows the number of police-reported hate crimes targeting Muslims in Canada more than tripled between 2012 and 2015 (emphasis added). This is an increase of 253% in the four-year period despite the overall number of such crimes decreasing over the same period. Given that many Muslims — perhaps even a majority — do not report such crimes to the police either out of fear or the feeling that the police would not take any action, the actual number of anti-Muslim hate crimes is much higher. It is not just verbal abuse that Muslims are subjected to. They have paid the price in life and blood as was witnessed on January 29, 2017 when a heavily armed white racist Alexandre Bissonnette attacked the Islamic Centre in Quebec City killing six Muslims and injuring scores of others while they were offering late-night prayers. 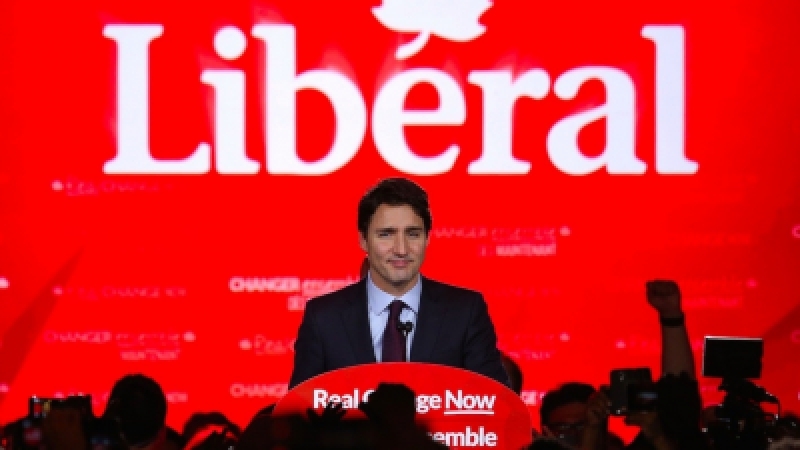 True, there was an outpouring of sympathy from the vast majority of Canadians for Muslims but what specific steps the law enforcement agencies have taken to address the rapidly growing number of hate groups and their anti-Muslim rhetoric in Canada is unknown. Statistics Canada’s June 13 data showed that eight out of Canada’s 10 provinces reported an increase in police-reported hate crimes from 2014 to 2015. The overall anti-Muslim hate crime rate rise in one year was 60%. 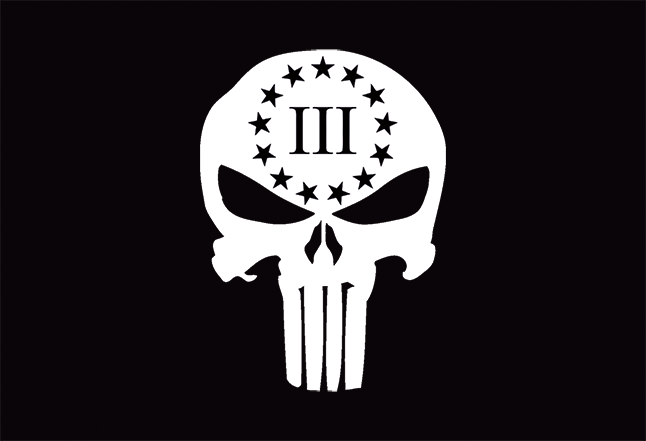 The Three Percenters started as an American “patriot movement” that pledges resistance against the United States government regard-ing infringement of the United States Constitution. The group’s stated primary purpose is to protect constitutional rights; its name is based on the American revolutionaries’ armed resistance against the British. They claim the American Revolution’s military constituted 3% of the population. This number does not concur with historical figures, according to which at least 15% of the overall population served in either the Continental Army or state militias. The move-ment was founded in late-2008 by Mike Vanderboegh from Alabama. It now has several chapters in Canada, especially in those provinces bordering the “militia” states in the US, like Idaho and Montana. 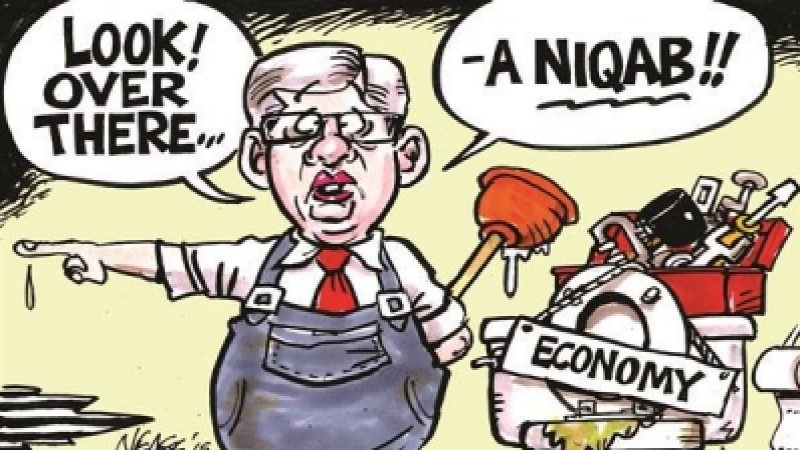 For the record, Harper never set foot in any mosque in Canada throughout his 10-year rule (misrule for some) except visiting the Qadiani centre in Vaughan, ON. He seemed to embrace them but shunned mainstream Muslims. Even as he gratuitously hurled insults at Muslims on January 31, 2015 in Richmond Hill, he was only a couple of kilometers away from a major Islamic Centre (The Islamic Society of York Region in Richmond Hill) and could easily have walked in there to see whether Muslims were preaching hatred or understanding, love, and compassion. 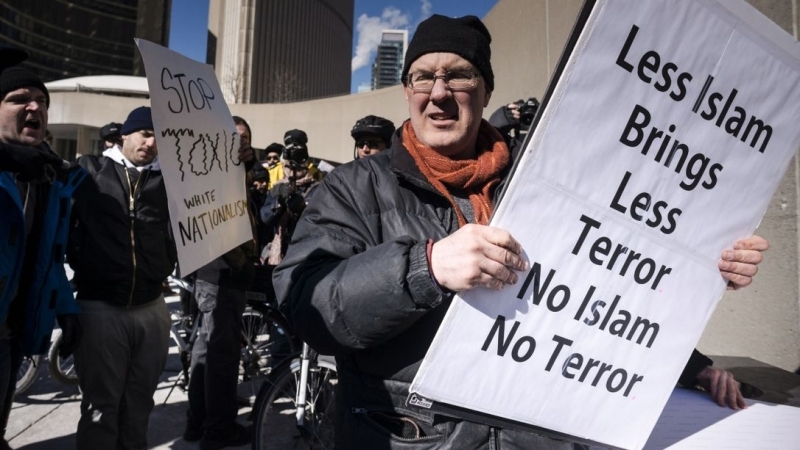 Notwithstanding Harper’s racist cant, a study published by Dr. Barbara Perry and Ryan Scrivens in 2015 found that in the last 30 years the number of deaths caused by far-right white supremacist groups far outnumbered lives taken by alleged Muslim terrorists in Canada. The two academics also found there were over 100 far-right groups in Canada with the majority existing in Alberta, Quebec, western Ontario, and British Columbia. Since completion of their study, other groups have sprung up that openly spew anti-Muslim venom. Some of the groups have been identified and are known to the security agencies. The most violent ones are believed to be La Meute (The Wolf) in Quebec to which Bissonnette belonged. There is also a group called Soldiers of Odin, as well as a new group that has sprung up in Alberta calling itself the Three Percent. Many terrorism experts have described them as “violent” and “dangerous.” And then there is the Jewish Defence (Offense) League (JDL). It is banned in the US and its parent group from which it sprang — Kahane Chai — is banned even in Israel, yet the JDL operates freely in Canada. Jewish groups that decry anti-Semitism are openly supportive of the violent activities of the JDL and even coordinate with it sharing responsibility in their anti-Islamic crusade. For instance, the JDL acts as storm troopers for such groups as B’nai Brith and Friends of the Simon Wiesenthal Centre. Both are mere fronts for Zionism and apologists for the crimes of the Zionist regime in Occupied Palestine. JDL has been involved in numerous violent confrontations at masjids in and around Toronto. In the past, they hired bicycle gangs for their dirty work. Now they seem to be teaming up with Soldiers of Odin and no doubt with even the Three Percent. While the white supremacist groups are also anti-Semitic, as far as the JDL is concerned, so long as these groups are also anti-Muslim, then they make a common cause with them. The Three Percenters are a clear and present danger, especially for Muslims. They train openly in firearms and provide other types of military training. This is against Section 70 of Canada’s Criminal code yet these groups have not been confronted or charged. While they eschew the label “militia,” they act like a militia. Imagine if a Muslim group espousing similar hatred and participating in military training were involved, would the response of the RCMP and other security agencies be as soft? There are also people calling themselves Muslims but in reality they are munafiqs who have aligned themselves with some of these groups. For instance, there is one group, essentially a gang of two (husband and wife) that are openly supportive of JDL. They call themselves Muslims for Tomorrow. If they cannot be Muslims today, what chance is there that they will be Muslims tomorrow? They are opportunists driven by hatred of Islam and Muslims (one wonders why they bother to call themselves Muslims) and are only interested in promoting themselves. Since Islamophobia is the last acceptable form of racism — indeed it is actively promoted — these clowns have jumped on the bandwagon to present themselves as “progressive Muslims.” They support every militaristic policy the Western warmongers peddle and are strong advocates of Western aggression against innocent Muslims. What they fail to realize is that the white racists and bigots will not discriminate between “progressive” and “regressive” Muslims. They just hate Muslims, period! They will target and kill these clowns just as readily as they will bomb and attack Islamic centres where Muslims are at prayer. For Muslims in Canada, the challenge of peaceful existence has become that much more difficult. Unfortunately, there is no central organization that represents the Muslims. The hundreds of masjids all across Canada exist in their isolated pockets only concerned about their own petty requirements. In most masjids, the leadership neither has the vision nor the capability to look at the larger picture. Unless this mindset changes, Muslims will continue to suffer grievous harm as happened in Quebec City last January. Crying after the fact will not help bring about any change in their condition. And running to the politicians will not help either because politicians are part of the problem. They are cynical and manipulative; they will utter platitudes but will not take any meaningful action to protect their own Muslim citizens. It has become a crime to be a Muslim in the West today!